V.B. 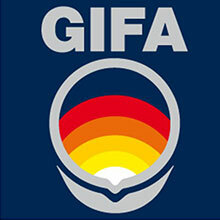 Meccanica will be present at the 14th International Trade Fair GIFA 2019 (Hall 11 / H 49). It will be held in Düsseldorf, Germany June 25th - 29th 2019. V.B. Meccanica has been present at the 12th International Trade Fair EUROGUSS 2018. It has been held in Nuremberg (DE), January 16th - 18th 2018. V.B. Meccanica has been present at the eleventh edition of the METEF 2017 exhibition. The international event dedicated to the materials, technologies and applications of aluminium that has been held in Veronafiere Exhibition Centre in Verona, Italy from 21th to 24th June 2017. V.B. Meccanica has been present at the 11th International Trade Fair EUROGUSS 2016. It has been held in Nuremberg, Germany January 12th - 14th 2016. V.B. Meccanica has been present at the 13th International Trade Fair GIFA 2015. It has been held in Düsseldorf, Germany June 16th - 20th 2015. V.B. 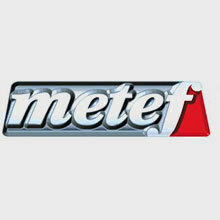 Meccanica has been present (Hall 4 / A18-B19) the tenth edition of the METEF 2014 exhibition. The international event dedicated to the materials, technologies and applications of aluminium that will be held at the Veronafiere Exhibition Centre in Verona, Italy from 11th to 13th June 2014. V.B. Meccanica has been present (Hall 11 / Boot 11D50) at the 12th International Trade Fair GIFA 2011. It has been held in Düsseldorf, Germany June 27th - July 2nd 2011.